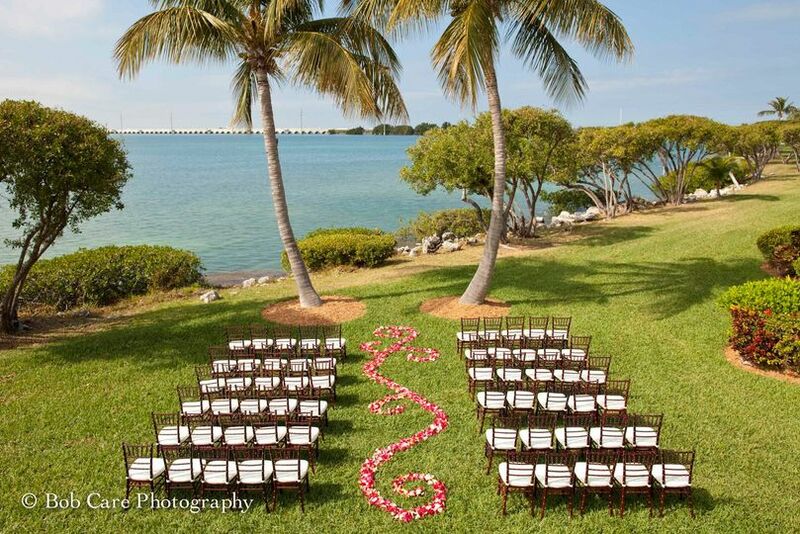 Hawks Cay Resort is a hotel wedding venue located in Marathon, Florida. This hotel wedding venue helps make all kinds of weddings and other special life events memorable for the couple of the hour along with all their friends and family. 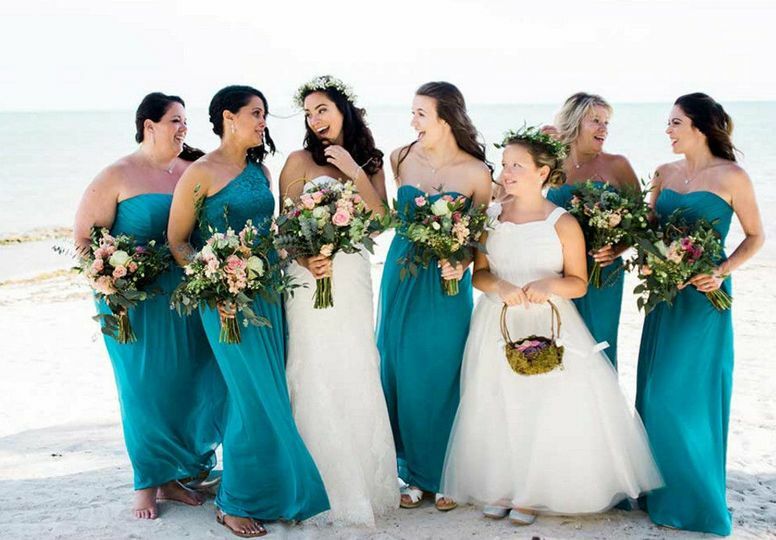 Hawks Cay Resort strives to deliver nothing less than flawless on your big day because this team believes that your wedding day should be exactly how you envisioned it to be. 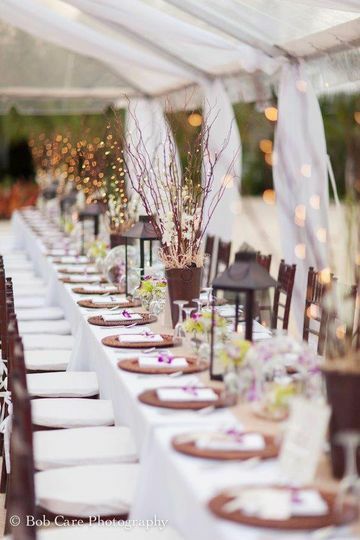 Hawks Cay Resort offers a wide range of both indoor and outdoor wedding venue spaces for you to utilize on your big day. 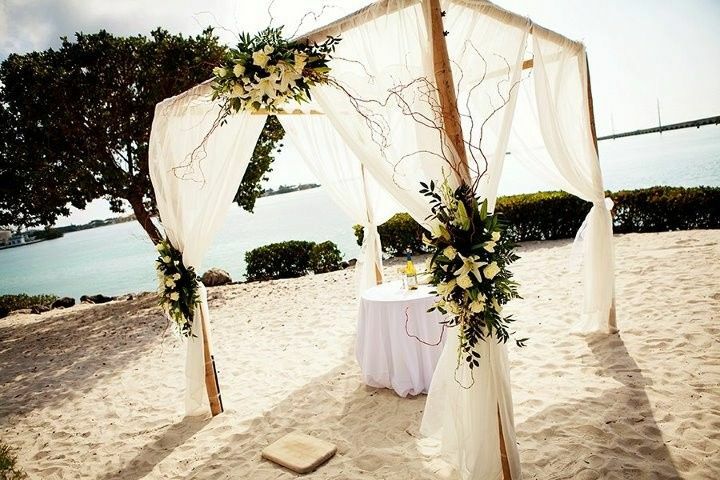 Many couples choose to host their ceremonies ocean front at either the sunset beach or sunset lawn. Both settings offer romantic and scenic views of the crystal blue waters and are surrounded by gorgeous landscaping. 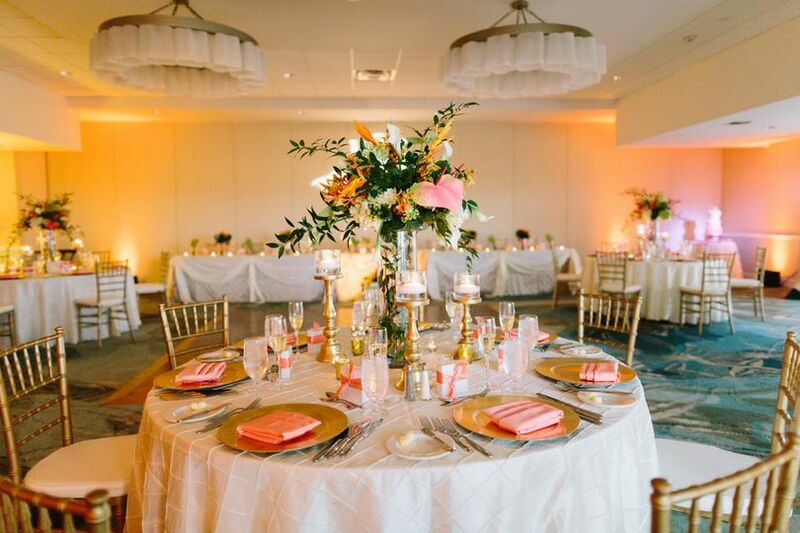 For receptions, cocktail hours, rehearsal dinners, engagement parties, and other special events, there are a variety of spaces to choose from. The outdoor options include a poolside deck, a covered patio, and two different terraces, each offering a unique setting and accommodate events of different sizes. 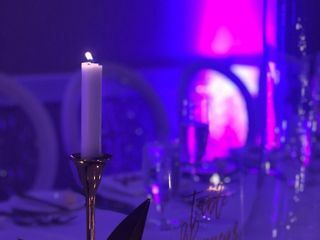 The indoor options that are available for your wedding celebration include the Dolphin Ballroom which can host up to 300 guests and the Overseas Ballroom which can host up to 350 guests. Both ballrooms are fully equipped with all the sound and PA equipment needed for your special event. 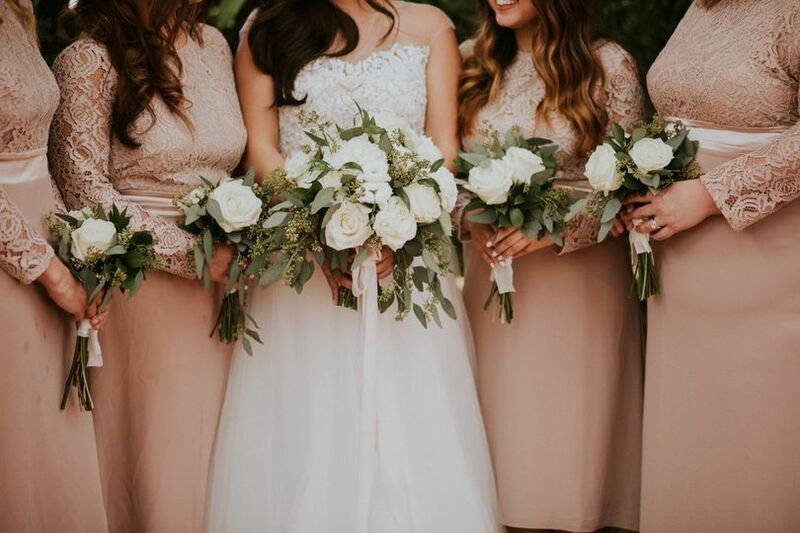 On your big day, you will have access to bridal and groom’s suites so that the wedding parties can prepare before the day’s events and also freshen up between photoshoots and speeches. Since this wedding venue is also a hotel, all your friends and family can conveniently stay overnight on-site. 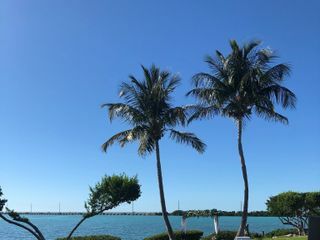 With a wide range of rooms, suites, and villas to choose from, Hawks Cay Resort offers a lodging option that is perfect for every individual guest. 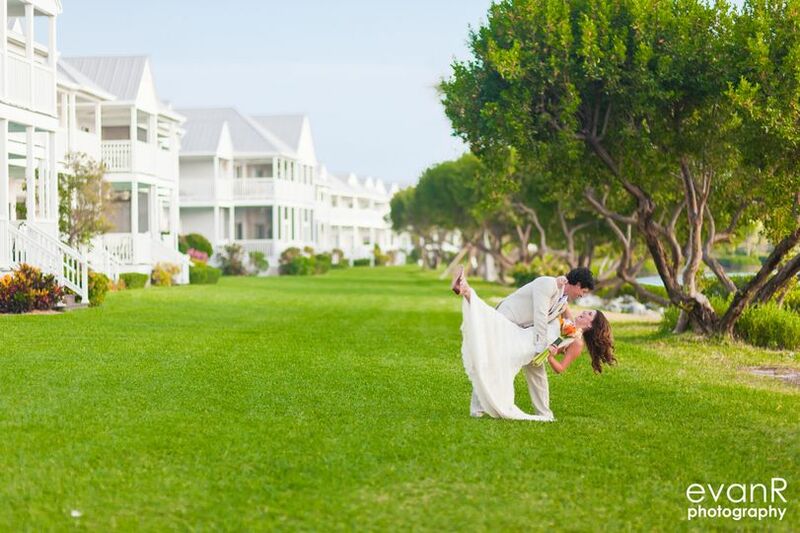 Hawks Cay Resort offers a variety of wedding packages for you to choose from. These packages range from all-inclusive packages for large scale events, to more modest packages for intimate ceremonies. I have never experienced such incredible customer service. I am so proud to be able to say that we got married at Hawks Cay! My “new” husband and cannot stop GUSHING over every part of our wedding weekend at Hawks Cay. Jennifer Tacey, her team, and everyone at Hawks Cay truly, truly made it such an incredible experience from the very moment we contacted them. I remember arriving at Hawks Cay for the very first time...Hunter and I were blown away as soon as we walked in the lobby! It was beautiful and it just felt "right." Then walking into room 2226 and being greeted with a card, treats, and champagne! It was such a sweet and perfect gesture...crazy how something so simple can mean so much. 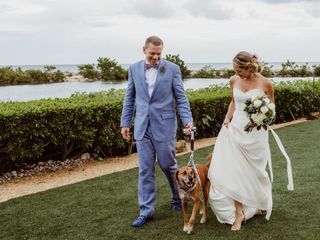 At that time, we never thought we'd be able to swing a Hawks Cay wedding with our budget, but the glimmer of hope was still with us and we were just DYING to see the property and the possibilities of wedding venues. We met up with Jennifer later that day and I was so impressed by her knowledge of the property and how she could explain the various options in detail, and how it could all layout to make the perfect day. Of course, we fell in love with everything! I remember seeing the gazebo and just picturing it all so clearly how PERFECT it could be, and then Oceans and how uniquely shaped the room was, and how perfectly it fits in with our nautical theme! We were all in, and I (being a Type-A at times) had a million questions that Jennifer and her team answered with patience and ease. Yes, they deserve a medal for putting up with me. LOL! So, we signed the contract, and all the sudden we were back at Hawks Cay for our menu tasting. Again, we walk into the lobby and feel the overwhelming sense of happiness and just a sense of "being." We get to our room and again are greeted with a card, champagne, and rose petals on our bed in the shape of a heart, and more delicious treats! 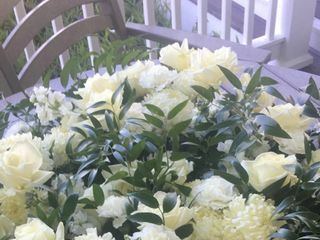 We are just blown away by the service and how Hawks Cay and Jennifer went out of their way to make us feel welcomed and appreciated. The tasting was out of this world! Brennan and Jennifer did an incredible job guiding us through the entire process and the whole time again, I'm just blown away! The Executive Chef came and met with us, explained what was about to happen, and kindly let us know that we could change anything on the menu that we did not like. The attention to detail the Executive Chef, Brennan, and Jennifer both made while preparing and walking us through the tasting was outstanding. We ate ourselves silly, and then went and enjoyed the rest of our time at Hawks Cay just dreaming about our wedding day, September 21, 2017, and imagining how perfect it will be here at Hawks Cay. Fast Forward a month (and two weeks before our wedding) we are being notified of a Category 5 hurricane (Irma) heading straight for the Keys and moving up the west coast of Florida. One of the first calls I received was from Jennifer at Hawks Cay! Let me just reiterate...They had the eye of a category 5 hurricane coming straight to them, and they called me...talk about customer service...Even though none of us knew what the outcome would be, Jennifer still kept me as calm as possible by constantly calling and giving me updates. The aftermath was devastating, to say the least, but again Jennifer was calling ensuring I was ok and telling me that we will figure everything out together. During this time my “at-the-time” fiancé and I were receiving regular updates from Jennifer about Hawks Cay. Her just being there to speak to us and give us the updates was a huge help. We were crushed when we heard Hawks Cay wasn't opening for almost a full year so we decided to maybe try to look at other venues. We looked far and wide, and nothing compared to Hawks Cay and we continually found ourselves saying "It's not Hawks Cay!" And, cue the endless calls, emails, and texts again to Jennifer! LOL! FINALLY, we rebooked for October 28, 2018! We knew it was the right decision and we didn't mind waiting for the perfect spot for us, Hawks Cay! We had to make some adjustments from our previous wedding plan, which I must admit I was a bit nervous about, but Jennifer assured me it would work out...and did it ever! The Friday before our wedding, we arrive at Hawks Cay and let me tell you, we felt like A-List celebrities walking onto the red carpet! Everyone knew us, everyone knew our story, and everyone was so thankful and appreciative that we were back! We had a sign in the lobby that said "Welcome Back Sara and Hunter! Happy Wedding Weekend!" We were greeted by the GM, Food and Beverage Director, Facilities Manager, Senior Director of Catering and Sales, and so many more staff that had heard our story! The crazy thing is...it wasn't just us that received such outstanding treatment, but every single one of our guests that felt the same way and received the same treatment! 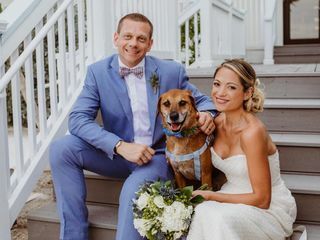 On October 28, 2018, we could not have even dreamed up a more perfect day! There was not one cloud in the sky, the weather had cooled down to a beautiful 73 degrees and there was a perfect breeze to keep everyone cool while dancing. Jennifer sent me a wonderful "Happy Wedding Day!" morning text, and the day just went perfectly from there on. My nerves were running high when Jennifer came to pick me up in the golf cart, but she was such a calming presence and I SOOOO needed that. I remember my dad and I getting ready to walk down the aisle and this wave of calmness just flowed over me. I look out at the ceremony and it was more than I could have ever imagined! There was not one detail left untouched, and I was stunned. On the Tranquility lawn overlooking Hawks Cay channel, my Husband and I said: "I DO!" We ate and danced the night away on Oasis Cay under a full moon and twinkling stars! The entire night was perfect, the food was delicious, the setup was incredible, the floating lantern send-off was beautiful! My guests cannot stop talking about our wedding! 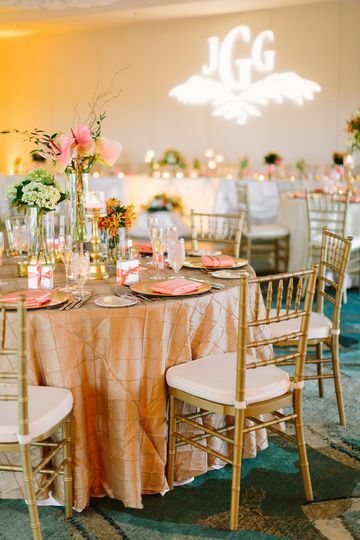 I have heard so many times from so many different guests that it was the most beautiful wedding they have ever been to, and many plan on returning to Hawks Cay for vacations. Jennifer, her team, and the ENTIRE Hawks Cay staff went so far above and beyond! I have never experienced such incredible customer service. I am so proud to be able to say that we got married at Hawks Cay!!!! We will be back at least once a year to celebrate! Sara- We are so thankful to have had the opportunity to work with you and Hunter. You're truly amazing people. We wish you all the happiness in the world! Please come back to see us again soon! We picked Hawks Cay as our wedding venue and what an excellent resort. This is an excellent venue and you will not be disappointed. We were lucky to be the first wedding since the resort reopening after hurricane Irma. This place is amazing! This resort is located in the Florida Keys and its absolutely beautiful. The views from the property are truly amazing. Whether you are looking out from the Angler and Ale one of the several dining options or relaxing by the pool everywhere you look is stunning. This is due to the fact the resort is located on an island. We love the look on peoples faces when we tell them we got married on an island! 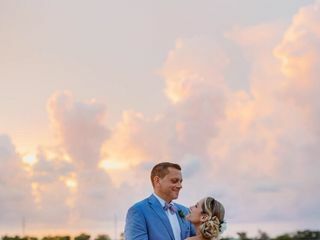 Getting married at Hawks Cay was a risk for us as the resort was still being rebuilt after being badly damaged by Hurricane Irma when we booked the venue around five months before our wedding. After visiting the resort approximately four weeks before our wedding there was still a lot of work than needed to be completed before the resort was due to reopen. We were allowed to tour the property and were able to see the teams working hard to have this place finished and they certainly delivered. The resort looked great. Everything was finished to such a high standard and the hotel looked great. We were proud to welcome our guests to such a wonderful resort. We got married on the tranquility Lawn with the view looking out over the ocean but this resort offers numerous locations depending on the number of guests. We were also given a second location in case of rain. We had perfect blue skies for our wedding but we were really happy with our covered location and this gave us great piece of mind and allowed us to worry about bad weather. The views are incredible we did not realize how important it was to be in such a beautiful location was until we received our wedding pictures back. We were able to get some great pictures in different styles. Our pictures of us walking along the beach turned out better than we could of ever imagined. 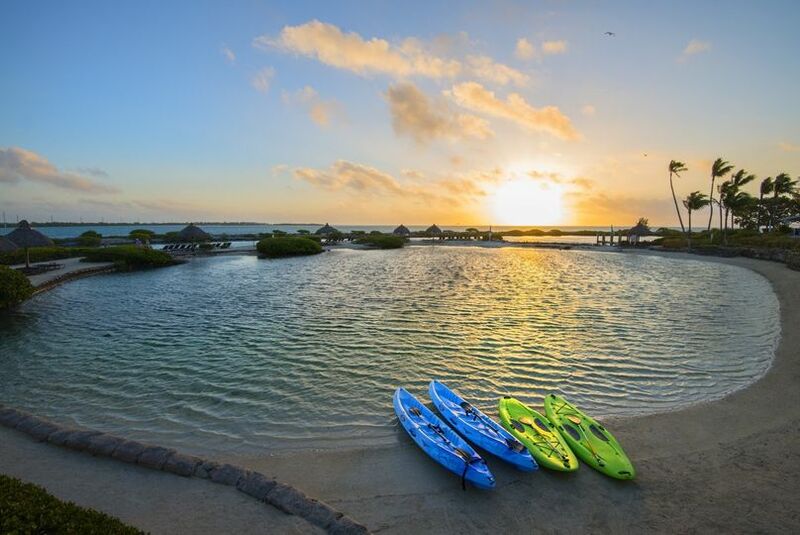 The lagoon and the ocean make for great backdrops. Ghislaine was our main contact with the hotel she even whisked us off to a great area so we were able to take some pictures as the sun set. 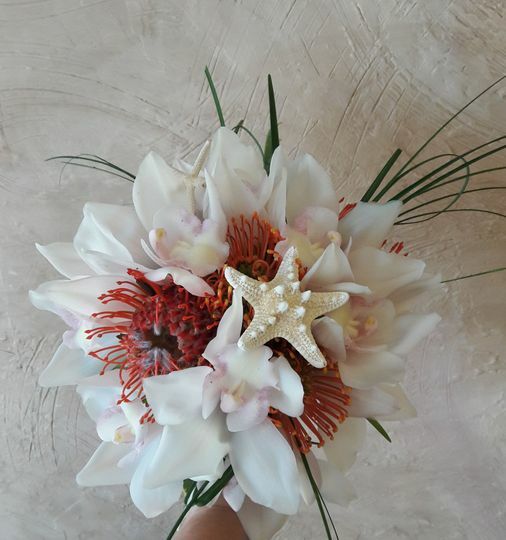 These pictures turned out great and we are thankful to Ghislaine for doing this but it just shows this lady thinks of every detail and really we can not thank her enough. She was an absolute delight to deal with. She was always so professional from the initial meetings she was always on hand and could not do enough for us. I can honestly say I have never dealt with someone who is so experienced, kind and genuine as Ghislaine. My wife and I still talk about how brilliant Ghislaine was throughout the whole experience. We are forever grateful for the amazing job she did in planning and organizing our wedding. We opted for the intimate package for 30 people as we were limited with time and this package enabled the wedding to be planned in a relatively short period of time. This package includes a wedding coordinator who was also superb. Peggy and Ghislaine have done weddings together before and it was like watching a well oiled machine. Peggy was great and made everyone feel so relaxed and was also our officiant. Our photographer was also selected for us as part of our package which was great and saved us trying to search one out at relatively short notice. This made the wedding planning experience very enjoyable as Hawks Cay have a list of approved vendors who they use. Our photographer was also really easy to work with and a true professional. We loved his honesty and he captured some truly amazing shots for us. Our package also included a wedding cake. This was great for us as it was one less thing to worry about we had a choice of flavors and were able to pick two. The cake was delicious, we were expecting the cake to be fairly basic but we were pleasantly surprised and we think it matched our wedding theme nicely. The food at Hawks Cay is excellent. We met with Ghislaine for our menu tasting and we loved everything that was served to us. The presentation was some of the best I have seen anywhere around the world and the flavors were great. We got to meet with the chef and his team who would be catering for event and were happy to make any alterations we asked for on the dishes we had selected. We were treated like VIP’s from the moment we set foot on the resort. Many of our guests commented to us that it was some of the best meals they had ever been served. This is a such a great feeling and we received so much positive feedback about the resort. 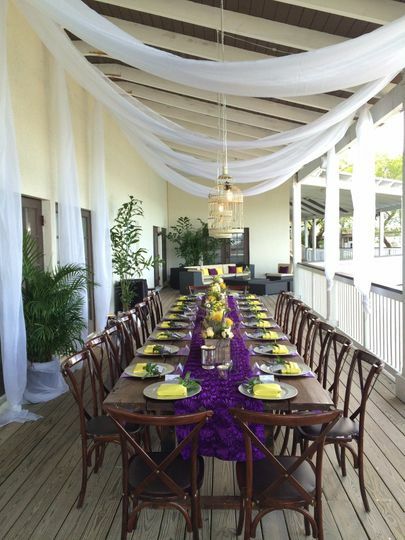 We also decided on a rehearsal dinner for all our guests and this was situated on the dolphin deck which provided a great view overlooking the dolphins and of course the food was amazing. The staff were truly amazing nothing was too much trouble and there was a real culture of delivering excellent customer service. As mentioned, our main contact was Ghislaine and she was brilliant. I cannot comment enough of what a great job she did. We miss interacting with her as she was such a delight to deal with. The staff around the resort were also fantastic. Ken bar tendered our rehearsal dinner and our wedding he was always on hand to ensure drinks were served when required. Scott at the Tiki Bar was super friendly and welcoming to all of our guests. Carol was awesome she was very accommodating and super friendly. She was highly praised by a number of our guests and really made the experience. Erika was a great server and helped served at our wedding and for a meal we held the night after. ‘Big Ben’ is great this guy is a huge amount of fun. He has a great sense of humour and is a real fun guy. He happily shuttled guests around the resort when required. The shuttle service was super reliable and we were never waiting more than a minute for a golf cart to turn up. 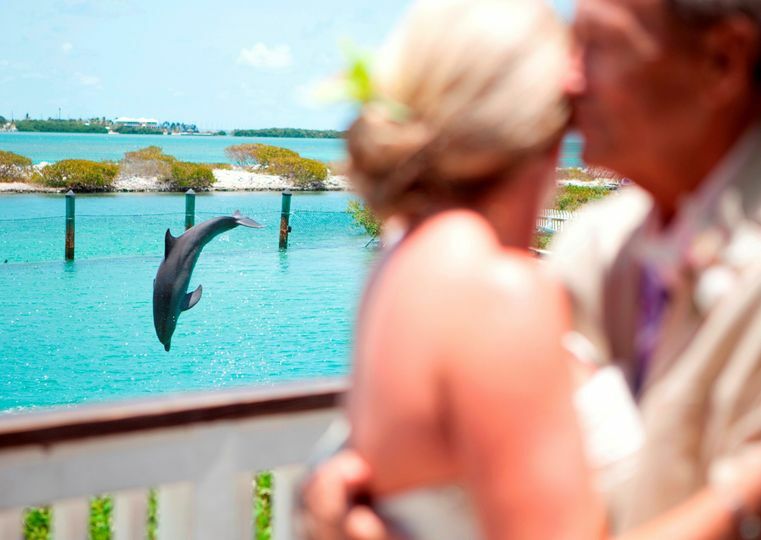 The resort has dolphins which was really cool and especially popular with the children who attended the wedding. The hotel rooms are some of the nicest rooms I have seen. They are spacious luxurious and are all recently refurbished after being damaged by hurricane Irma some of the guests rooms had never been stayed in and our guest were the first guest to stay in them. The villas were not damaged by the hurricane and are not as modern as the rest of the hotel but are still nice. The guests we had who stayed in these enjoyed the views over the ocean and the full kitchen. We choose to stay in the presidential suite which I would highly recommend. This suite provided plenty of space to store wedding gifts and for the bridal party to get ready in. The spa services were excellent! 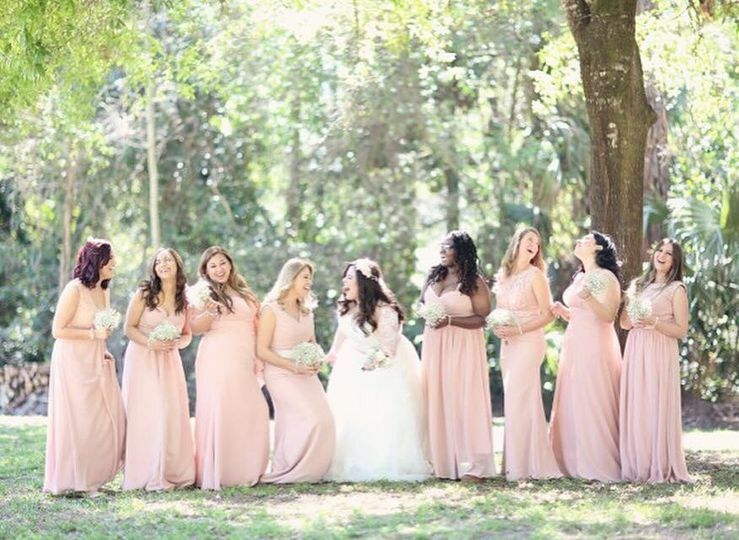 The entire bridal party was extremely happy with their hair and makeup. The team was even able to come to the suite to do the hair and makeup of the bride and mother of the bride. This was very much appreciated in the hot weather. I will be returning to this resort without a question. I have been to many other resorts in the Keys and this is far and above the best resort. This is without a doubt one of the best venues to have a wedding in South Florida I cannot recommend this property enough. If you have your wedding here you will not be disappointed. Hawks Cay has everything you could wish for and much more. If you want a perfect location with a beautiful hotel that serves amazing food with friendly staff that your guests will love then book this place. Thank you Ghislaine and the Hawks Cay team for a fantastic experience and the best wedding day ever! Thank you Courtney!! You we're SO MUCH FUN to work with. We hope married life is treating you Fabulous and cant wait to see you again! From a photographer point of view, Hawks Cay property is one of our favorites in the Florida Keys, we worked on this property for more than 10 years now. It has everything you need to have a beautiful experience in The Florida Keys, waters views, gardens, charming architecture, and is easy to find private areas to photograph our clients any time. The wedding team work as a family, they have many years of experience in events, and they are dedicated to the unique needs of every client. For families is the perfect location, it has many options: fishing, spas, diving, a salt water lagoon perfect for kids, great restaurants, kids activities, everything in one island, we can&apos;t recommend enough this property and their staff for a wedding, family vacation or honeymoon. Hawks Cay Resort is a 5 star luxury resort with impeccable service and breathtaking views. From their grand ballrooms to their gorgeous gazebo, this venue has it all! 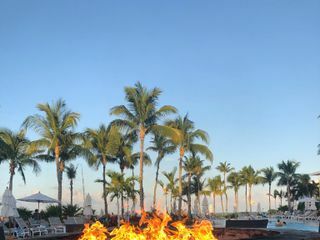 Dolphins, first class dining, fireside entertainment, luxurious rooms, and frosty beverages are enough reasons to say your "I dos" at Hawks Cay! I highly recommend this venue to all my brides!